This week, Google announced that they had added additional reporting to AdWords allowing users to segment data by top ads versus side ads. 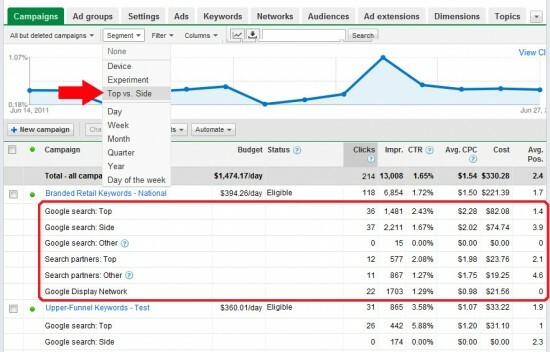 This is a great add-on as it allows us to gain further insight into user behaviour in SERPS and contributes to refining our listing position strategy in order to improve campaign ROI. If you’ve played around with Google Analytics advanced segments (as below), you may have noticed that some of this data is already available. 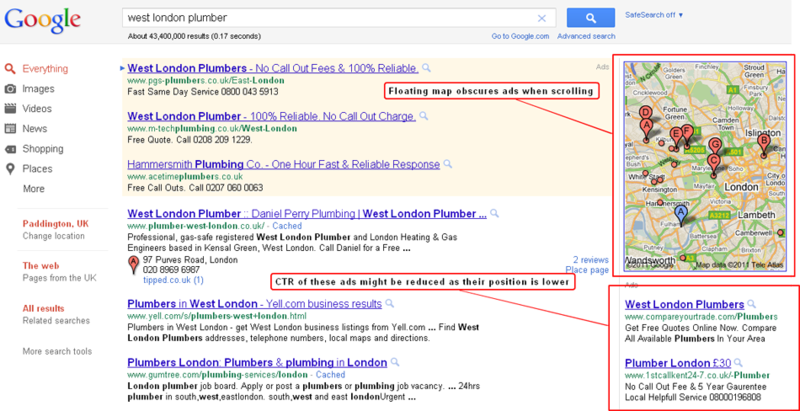 But having it so readily available in AdWords is definitely a bonus as it is far more accessible. As you can see using the above example from Google, the additional data let’s us gain further insight into user behaviour in SERPS and contributes to refining our listing position strategy. 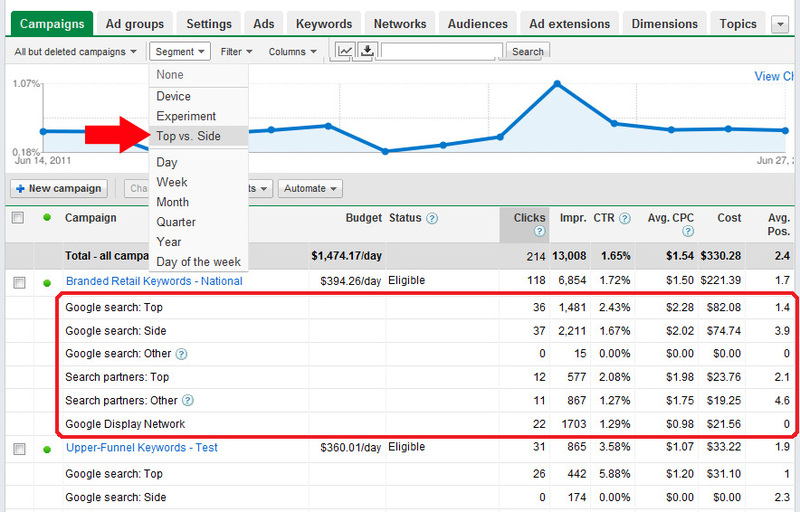 In the above case, we can see that top Google search ads have a better CTR of 2.43% versus 1.67% for side ads. In our experience, top ads tend to have a better CTR, although this depends on the sector and the competitive landscape. What about conversion rates and cost per conversion? As part of a listing position strategy, you may want to experiment with your ad position to see if you can increase your campaign ROI. You may find that lower positions give you better ROI in the long run despite attaining less clicks. Now that Google AdWords has dropped position preference, you can modify your listing position by varying your keyword bids. 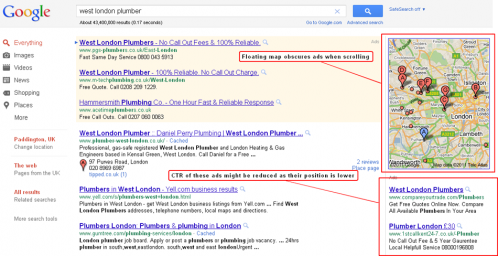 If your sector is very focussed on localised search, your side ads will be dominated by the Google Place search map top right. Given the dominance of the map, it’s even more important to monitor top versus side ad performance, especially as ads disappear underneath the floating map as you scroll.